On Monday, April 17, 2017, while assigned to marked unit West-6, I was dispatched to Dunkin’ Donuts, located at 240 Elm Street, for the report of a larceny. Charlie 6 also responded. 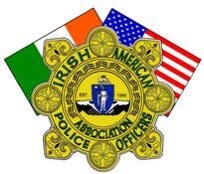 SOMERVILLE — The Irish American Police Officers Association is pleased to announce an benefit concert by vocalist and association member Pauline Wells. GOOD MORNING – TODAY IS MONDAY, April 24, the 114th day of 2017 with 251 to follow. Sunrise in the Boston area is @ 5:49 and sunset is @ 7:35. The moon is waning. The morning stars are stars are Jupiter, Saturn & Mercury. The evening stars are Mars, Neptune, Uranus & Venus.